In a previous post there was an image from Violent Saturday (Richard Fleischer 1955), and as it is a great image I will post it here again. But not because it is great but because it appears in another film, made three years later by Leo McCarey, whom I wrote about last week. It is not just a similar image (or rather shot) but the very same identical shot. It is a useful reminder on the need to remain cautious before asserting credit (or blame) for scenes, shots and ideas in individual films. 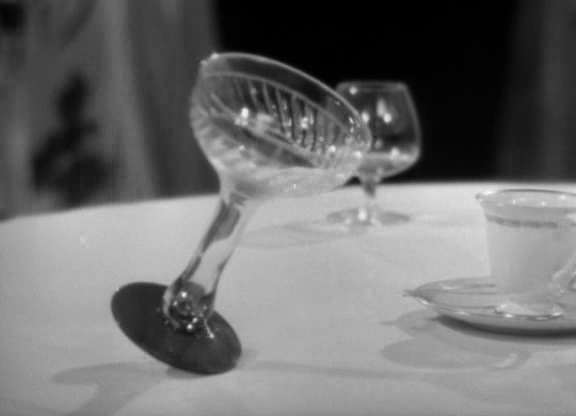 McCarey's style of filmmaking is different from Fleischer's in many ways, and one is the visuals. McCarey was most at home in the Academy ratio and he was not interested in landscapes or cityscapes. His camera is usually indoors and focused on the actors. Fleischer on the other hand was one of the great CinemaScope stylists and had an interest in striking compositions, outdoors and indoors, that McCarey had not. Or rather, his compositions are of a different kind. So it is not surprising that, when Rally 'Round the Flag Boys (1958) became McCarey's first film in CinemaScope, he, or more likely the studio, felt obliged to add some visual flavour by borrowing a shot from another film and another director. This does not undermine ideas about authorship, it is just that since this habit of borrowing is common enough we should not be too sure about who is responsible for individual shots and images in a given film. Another cause for caution is censorship, a problem that is, or at least was, common enough in most countries. 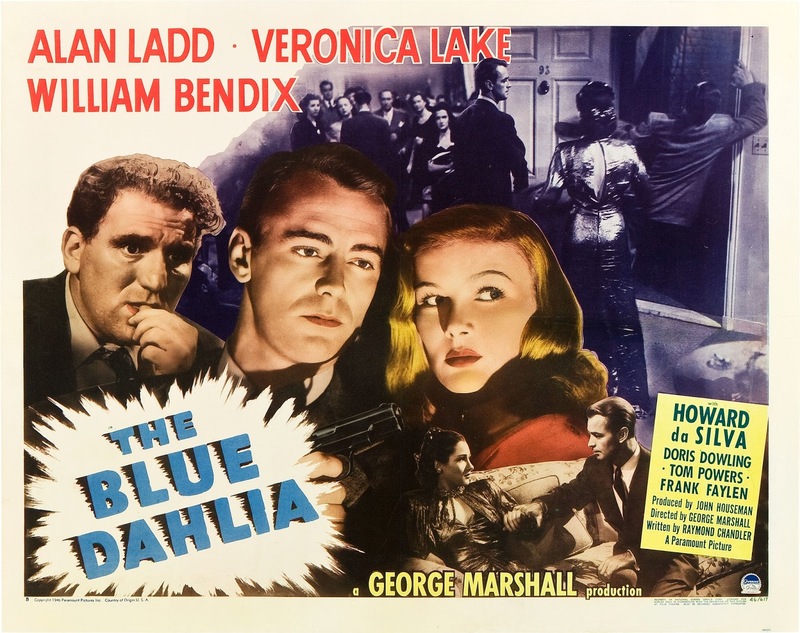 For an example that recently came to my attention, look at The Blue Dahlia (George Marshall 1946). It was the only film to which Raymond Chandler wrote an original script, and it is a good script, but it gets all weak and abrupt in the last few minutes, obviously so. This is because the US Navy had objections about the script so the ending was rewritten. There is a murder in the film and it turns out that the killer is a sailor, an ex-serviceman who suffers from a mental illness after the war. Or at least it does in the original script, the one the Navy did not like. After it was rewritten another person is blamed for the murder, more or less at random, in the last scene. There are a few interesting things about this. Not necessarily that the US Navy objected but that they were even asked, and that their opinion mattered so much that the film was altered. Another is that to some extent it does not matter. I have seen the film three times, with a time lapse of many years between the first and second viewing, and when I saw it the second time I thought I knew who the killer was, i.e. the sailor, because that is the way the film is structured and that is what makes sense, up to the last minute. I had completely forgotten about the weak ending. When I saw it the third time I had not forgotten the ending, but I did not care about it. For all points and purposes it is the sailor who is the killer. I was curious about that ending though so I did some digging and found out what happened to the script and why the ending was like it was. Ultimately the way the finished film ends does not matter, you can easily disregard it and stay with the original ending, as I did, even if you do not know the circumstances. This post is related to three earlier posts (this, and this and this). It is one of the great things about blogging, the ongoing, endless sprawl of connections and links. Incidentally, Chandler also contributed to the script for Strangers on a Train, but that is unmistakably a Hitchcock film. I should also add that there is nothing unusual about re-using footage from previous films as was done in Rally 'Round the Flag Boys. It happens with some frequency, now as well as then. 2014-03-31 I added a sentence to emphasise my point that this does not undermine the idea of authorship, only that we cannot know for sure who is responsible for each individual shot or image in a given film. There are two sides to Leo McCarey. The first one is him being one of the most important comic filmmaker of all time. He made shorts with Charley Chase. He put Stan Laurel and Oliver Hardy together and was the, to use a contemporary term, show runner for most of their silent films as Laurel & Hardy (he wrote and directed many of them as well). He directed Duck Soup (1933), the best of the Marx brothers' films, and it was he who devised some of their most memorable scenes such as the fake mirror sequence (a routine with a long history). In addition he directed Mae West in Belle of the Nineties (1934) and Harold Lloyd in the fine The Milky Way (1936). Some claim that with The Awful Truth (1937), which McCarey wrote, directed and produced, he "created" the persona of Cary Grant that is known today but although The Awful Truth was important Grant had been building himself up over time, and in Topper (Norman Z. McLeod, 1937) the Cary Grant who combines wackiness and elegance was more or less in place. So The Awful Truth was important, and Grant is much better in it, but not groundbreaking. Besides his filmmaking McCarey also had an encyclopedic knowledge of humour (if you mentioned a joke he could say when it first was made and by whom) and a theoretical view on how humour works, ideas which he put forward in articles and essays. The second side is as a profound humanist, a maker of some of the most moving films ever made, such as Make Way For Tomorrow (1937) and Love Affair (1939). The McCarey of whom Jean Renoir said that he "understands people - better perhaps than anyone else in Hollywood." He was loved by most people, and Ernst Lubitsch, Frank Capra, George Bernard Shaw, Orson Welles and Charlie Chaplin were among those who praised him and his work. 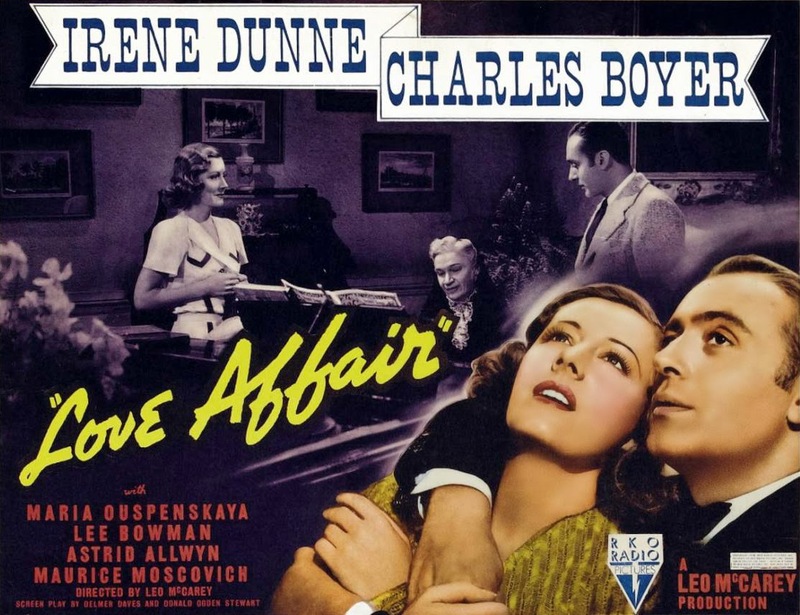 He was Irene Dunne's favourite director and even Maria Ouspenskaya spoke kindly of him. McCarey lost his way somewhat after the Second World War. The causes were several, including suspected alcoholism, addiction to painkillers (after a car accident that nearly killed him), and a sense of writer's block after winning a remarkable number of awards and being the most highly paid man in the whole of the United States in 1944. After having made at least a film a year until 1945 he made only five more films after the war. Of those five films one succeeds, and very much so: An Affair to Remember (1957). But it is significant that it is a remake of his earlier Love Affair. The other four films are the decent but dull Good Sam (1948), an amiable comedy called Rally 'Round the Flag Boys (1958) and two films on which McCarey had severe problems. On the first one, My Son John (1952), the leading man Robert Walker died during the shooting and McCarey had to borrow scenes from Hitchcock's Strangers on a Train (1951), in which Walker also starred, to fill out the gaps. Walker's character is killed in the film but only because the actor had died, not because that was McCarey's intention. On the second problematic film, Satan Never Sleeps (1962), he got into a fight with William Holden, who played the lead, and when the studio took Holden's side McCarey walked away. Somebody else finished the film and McCarey never directed another film. An ignoble end to a once brilliant career. But those final years cannot undo what had gone before. When he was at his most inspired he had few equals. His style of filmmaking was rather unique. He would come up with a general idea for the film, often based on his personal life, and then during the making of the film he would improvise constantly and making it up as he went along, together with his cast and crew. He would always have a piano on set and he would play on it whilst thinking up ideas, and then when he had a good one he would get back to filming. Often he would just say to the actors how a scene would begin, and then let them do whatever came natural to them. He would film it all, often in one take, and being as curious as anybody else as to what would happen. He would also tell one actor or two to do something, but not tell the others, and so let them improvise a response. This means that when a character looks surprised in a film by McCarey in all likelihood the actor playing that character is just as surprised. This is one of the true wonders of his films, these unguarded moments of genuine emotions. McCarey was not shy of having the actors look into the camera, at the audience. The example above might be the most devastating of them. The old couple in Make Way For Tomorrow, one of the saddest of films, are having a special evening on the town, a few precious moments alone. Or almost alone. Just as he is about to kiss her she turns and looks at us, as if to say "Kindly go away and let us have this moment for ourselves." I do not know if it was her idea, or McCarey's, but it does not matter. The weird feeling of shame, for intruding upon them, is there. McCarey's way of filmmaking also affected the structure and pacing of his films, in that they are often a progression of what I call emotional set-pieces rather than a more conventional narrative. The films do have a forward motion but it is not the story that is the main concern but the emotions of the characters. The sequences in which these emotions are expressed are often so rich and nuanced they become like short movies in themselves of either hilarious comedy or heartbreaking sadness and/or tenderness. Examples of this are plenty but perhaps the best is the visit to the old grandmother in Love Affair or the scene in Going My Way (1944) when Father Fitzgibbon, the old priest, tells the new priest Father O'Malley that he has understood that O'Malley has been sent to replace him. Or rather, he does not tell him, he let it be understood in a roundabout way, because he cannot bring himself to say out loud the truth; that he is too old to remain in his post and is not wanted anymore. Then he starts to cry and walks away, out of the room and out of his beloved church. This way of making the films led James Agee to make the observation, when writing about The Bells of St Mary's (1945), that a film by McCarey is "distinguished for leisure and spaciousness, for delight in character and atmosphere, for it use of scenes which are inserted not to advance the story but for their own intrinsic charm." This scene for example, from Bells of St Mary's, where McCarey just told them to try and box. The old priest in Going My Way, Father Fitzgibbon, was based on a priest that McCarey had known well. In the next film, The Bells of St Mary's, the nun played by Ingrid Bergman is based on McCarey's own aunt, also a nun. The Awful Truth is based on McCarey's own marriage. Make Way For Tomorrow, a film about loneliness and generational conflict that was an inspiration for Yasujiro Ozu's Tokyo Story (1953), McCarey made after the death of his father. These are some examples of how personal the films were, and how McCarey used his art to deal with his own life. Allegedly his wife used to asked him, when she saw the films, what the different scenes were meant to represent. ("When was that, darling?" she would ask.) If you want to know what McCarey was like you can look closely at Jerry Warriner, the character Cary Grant plays in The Awful Truth, because he based him on McCarey. What should also be mentioned is the sense of religiosity and spirituality that imbues several of his films. McCarey was once one of the most honoured and celebrated of any filmmaker, and an internal auteur. The trio of films he made between 1937 and 1939, Make Way For Tomorrow, The Awful Truth and Love Affair, constitute the pinnacle of his achievements. Although he is not a household name anymore among cinephiles he is not forgotten and in the history of film his position is secure. Here, finally, is a scene from Ruggles of Red Gap (1935), where an English butler finds himself in the Wild West. There is no gunplay or fistfights here, but something much more spellbinding. I have never been able to watch My Son John, which is usually considered a disaster. But it has its defenders, for example Jonathan Rosenbaum who has called it "great but deranged". Some have suggested that it is the result of a conflict between McCarey's natural artistic sensibilities and the forced anti-communist theme. I have not mentioned Once Upon a Honeymoon (1942), McCarey's anti-Nazi film, because it has been so long since I saw it but I think it might very well be classified as "great but deranged" as well. It certainly takes black humour to some surreal extremes. As for Satan Never Sleeps, while McCarey hated the finished film it has its moments. The three people it is about, played by Holden, Clifton Webb and France Nuyen, are treated with warmth and humour, and there are several fine scenes. But as a whole it is rather weak, muddled and obvious, especially the last 15 minutes or so. For a deeper analysis of The Awful Truth see Stanley Cavell's book The Pursuit of Happiness. For a book about the life and career of McCarey see Wes D.Gehring's Leo McCarey: From Marx to McCarthy (which is not as good as one would have wanted). The quote from Rosenbaum about My Son John is from his book Essential Cinema. The quote from Agee is to be found in Agee on Film Volume 1. I have sometimes been accused of being anti-theory. I can understand why, considering I have criticised, sometimes venomously, most flawed theory I have come across ever since my undergraduate days. But that is not the whole picture. While being impatient with bad theory there are theories I like and I have also developed some theories of my own, for example on lighting, on queer characters in post-war cinema, on our relationship to storytelling and on how we appreciate films. My post using Max Weber to discuss the way we approach film history can also be said to be a theory. So I am not anti-theory. There are plenty of things that are very good and even inspiring, like reading Jean Epstein ("The cinematic feeling is therefore particularly intense. More than anything else, the close-up releases it. Although we are not dandies, all of us are or are becoming blasé. Art takes to the warpath."). But there are others I like as well, and I have written a lot about André Bazin (most recent post here). Three years ago I wrote a post on some problems with the film theory canon, how texts are too often treated like gospel when they might more accurately be considered a sign of their time; not necessarily saying anything meaningful about cinema. Sometimes the person who wrote a particular piece has moved on and might even be embarrassed by the ideas put forward at a younger age. Writing is often done in haste, perhaps against a deadline, and there is not always time to think through what one is saying. It also often happens that one might be caught up in an idea without considering if it actually works, or makes sense, or whether it is contradicting another point one has already made. When reading a theoretical text (any text) these are things to consider. It also often happens that theories are based on the writer's memories of the films under discussion, memories that are not to be trusted. In Laura Mulvey's Visual Pleasure in Narrative Cinema many of her descriptions are wrong, i.e. what she says happens in the films do not actually happen. Whether such mistakes are important or not in a general sense is debatable, but they might undermine the arguments made. There is another thing to remember and that is that famous texts and ideas are often oversimplified and/or misunderstood and/or undermined even by the friends and followers of the theory. When Deleuzians are explaining the movement-image and the time-image they usually say "The movement-image is classical Hollywood and the time-image is post-war European art cinema." But that is not really what Deleuze is arguing. They might as well explain it by saying "The movement-image is French poetic realism and the time-image is Hollywood films by, for example, Orson Welles and Joseph L. Mankiewicz." which is as correct as the previous summary, but also equally narrow. The reason they chose the former explanation instead of the latter is probably because they do not really accept Deleuze's distinction and try to make it more in line with their own preferences. The crystal-image. A Letter to Three Wives (Joseph L. Mankiewicz 1949). When theoretical texts are discussed or criticised it is usually through the use of another theory, on whether it contradicts or agrees with some other text. But that is not really critical thinking, that is compare and contrast. For me it is when a text is criticised on its own terms, from within, that it becomes interesting and meaningful, Under the heading "Theory readings" I aim to engage with some theoretical writings (loosely defined) on their own terms, and see where that will take me. The first one, published soon, will be about Robert Warshow and in particular his essay The Gangster as Tragic Hero. The Epstein quote is from a text he wrote in 1921 in Bonjour Cinema called "Magnification" (or "Grossissement"). All four posts about Bazin are here: #1, #2, #3 and #4. My post on Deleuze is here. When the first films were made at the end of the 19th-, beginning of the 20th century it was no secret who made them. The brothers Lumière for example, or Georges Méliès. As cinema evolved and developed the director became more and more important and by the 1910s some directors were global phenomenon such as D.W. Griffith, Thomas Ince, Fred Niblo, Cecil B. DeMille and Victor Sjöström, and it has been like that ever since. In the 1920s Ernst Lubitsch had become such a superstar that he was invited to the White House and had songs written about him. He was celebrated and influential in the US, Europe and East Asia. This background is important for this discussion since it shows that the history of directors and the history of cinema run parallel with each other. It is not an accident that the director has almost always been singled out as the most important person on the set. But they of course do not work in isolation. The idea of the director as auteur, as the creative force behind the film, has often been criticised, even ridiculed. Pauline Kael was one who was skeptical. In the 1970s and 1980s it was customary to dismiss the director, any author, for ideological reasons. Some well-known examples of such views are Roland Barthes, Michel Foucault and Stephen Heath. But these efforts were never all that satisfying or successful. Films are made by living, breathing individuals with ideas, beliefs and dreams and although these individuals work with restrictions (financial, cultural, political, personal) they still impact the films that they make, and the books that they write. No film is completely unique, but no film is completely like another film either, and the differences matter. Any work of art, such as a film, is the result of the combining forces of an artist's personal agency and the context in which the artist works, just as Foucault's writings are the combination of his own beliefs and the context in which he was working. He is firmly embedded in a French post-war academic culture. So looking at the auteur/artist/author must not mean neglecting context or social circumstances; in good auteur criticism/scholarship discussing the relationship between the author and her context is key. But since one person's engagement with her surroundings and context is different from that of another person, the art works will be different too. Anthony Mann's films are easily distinguished from Budd Boetticher's, just as Picasso is different from Braque. A work of art is an expression of the particular artist's engagement with the particular context in which she finds herself, and that is true for painters, writers and directors alike, if they have that interest. Emphasising the author can also be a progressive, political act. Bringing forward women filmmakers and filmmakers from minorities and non-Western regions is an important part of auteur studies. Another assumption is that there is an "auteur theory". There is not, and never has been. Even Andrew Sarris, who did unfortunately use that phrase, said almost simultaneously that it was not a theory. “[u]ltimately the auteur theory is not so much a theory as an attitude.” he wrote in The American Cinema: Directors and Directions (1968). It should preferably be regarded as an approach, one among many, of looking at films where a given film is discussed in the context of the film's director's other films. What are Hou Hsiao-hsien's trademarks, how does he view the world, and how has his style and his themes evolved through his career? How does Three Times (2005) compare to Café Lumière (2003) and Millennium Mambo (2001), and are they different from A City of Sadness (1989), and if different, how? These are questions that auteurism are concerned with, and they are the same questions that critics and scholars asked themselves in the 1920s and 1930s and 1940s as well, about Fritz Lang or John Ford and many others. And before there was cinema, these questions were asked about writers and painters. For some it may seem uninteresting or unnecessary, but that does not make it wrong or romantic. Barthes himself wrote loving tributes to several auteurs, not least Michelangelo Antonioni. One of the most persistent arguments against auteurs is that cinema is a collaborative art form. Although that is true it is not the final word, a case-by-case approach is needed here. There are editors and cinematographers and composers and actors who are very important and can have a profound influence on a film, but they all do just their part. The directors are (in most cases) the only ones involved in the whole process and the director is also usually the one to whom the others answer. They usually write the scripts and if they have not written the original script they almost always rewrite it, officially or unofficially. The director is also the only one who is concerned with both the look and the sound of the film, with camera angles, editing, decor, colour, effects and so on. And, of course, the only one who directs the actors. There are exceptions. Some producers, such as David O. Selznick, have been intimately involved with all aspects of many of the films they have been producing, and some writers, like Carl Mayer in Weimar Germany, take on responsibilities that are usually the director's. Some films can have two or more auteurs of distinction. For example The Social Network (2010) has two, director David Fincher and writer Aaron Sorkin, and it does not feel like they are really compatible. 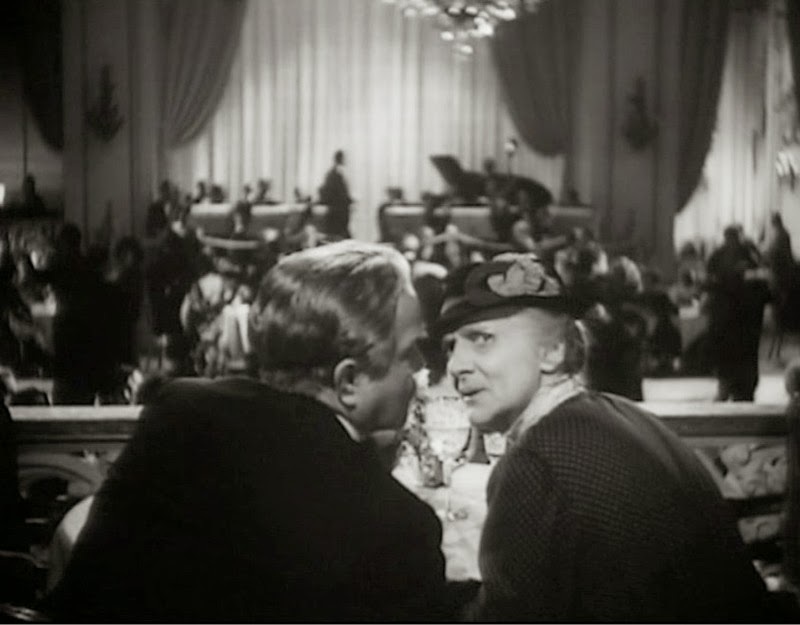 Midnight (1939) should be approached both as an important part of Billy Wilder's oeuvre (he wrote it together with Charles Brackett) and of Mitchell Leisen's oeuvre, who directed it. Another point worth making is that whether a director has a contract with a studio or not does not matter within auteur studies. Ingmar Bergman (who worked for SF most of his life) is not less of an auteur than somebody using their own digital camera and their own money. Making very personal films, like Bergman or John Ford or Andrei Tarkovsky, is more a question of integrity, ambition and judgement than whether you have a contract or not. Even in pre-1960s Hollywood many filmmakers had contracts that gave them comprehensive creative control, none more so than Lubitsch when he came to Hollywood in the early 1920s. (It is often said that Orson Welles was given unprecedented creative control when he made Citizen Kane (1941) but that is not the case. Creative control yes, but not in a unique way.) Ultimately, arguments against auteurs are best answered by pointing at the films. If there are strong links between the films of a particular filmmaker, and if those films are different from those by other filmmakers, then that is what matters. 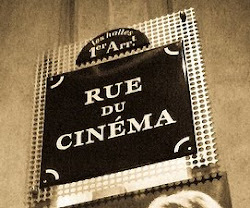 Directors are often called auteurs as if the words were synonymous, but they are not. All directors are not auteurs, whether someone is is revealed through studying the films. But most well-known filmmakers, regardless if they are contemporary or from earlier days, are auteurs after all, be they from Iran, Brazil or working in Hollywood. Yet just calling somebody an auteur is not enough, further elaborations are needed. There are different kinds of auteurs. For example, one approach I have been developing is to distinguish between external and internal auteurs. An external auteur is somebody who just makes the films, with thematic and stylistic consistencies, but without having any personal presence in them. 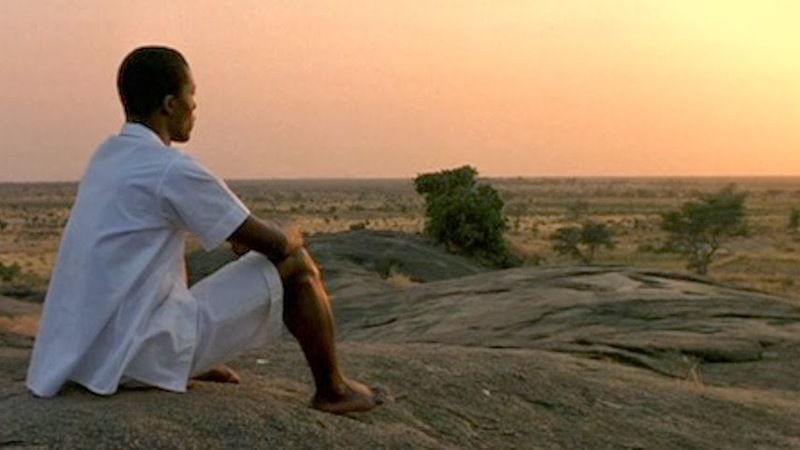 An internal auteur is somebody who not only makes the films but appears in them as well, and/or makes explicit autobiographical films, in short somebody whose personal presence is experienced directly. Charlie Chaplin, Hasse Ekman, Chantal Akerman, Ingmar Bergman, Clint Eastwood, Rainer Werner Fassbinder, Alfred Hitchcock, Francois Truffaut are some obvious examples. 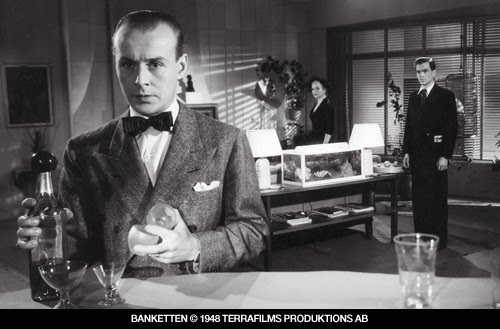 Hasse Ekman in The Banquet (1948), which he also wrote, directed and co-produced. Howard Hawks might also be considered an internal auteur, and in many ways an excellent example of the whole concept of auteurs. In all his films certain recurring characters, scenes, lines of dialogue, stylistic ideas, ethical discussion, ideas about life and love and gender, are to be found (and his voice). They are easy to recognise. He also was a freelancer, and often his own producer. But just because Hawks is an auteur does not mean that he alone has contributed to his films. There were indisputable contributions from writers such as Leigh Brackett, Jules Furthman, Ben Hecht, William Faulkner and Ernest Hemingway; cinematographers like Joseph Walker and Russell Harlan; actors like Walter Brennan, Lauren Bacall, Cary Grant, John Wayne, among others, and his wife (for a few years) Nancy Keith, aka "Slim". But the strongest input, and the special particularity that separates a film by Hawks from all other films made, comes from Hawks himself. Not least since he frequently got the inspiration for the films from his personal experiences and his life. Any film by Hawks is to some extent about him, he is embodied in them. How does the director use music? Are there particular recurring characters? 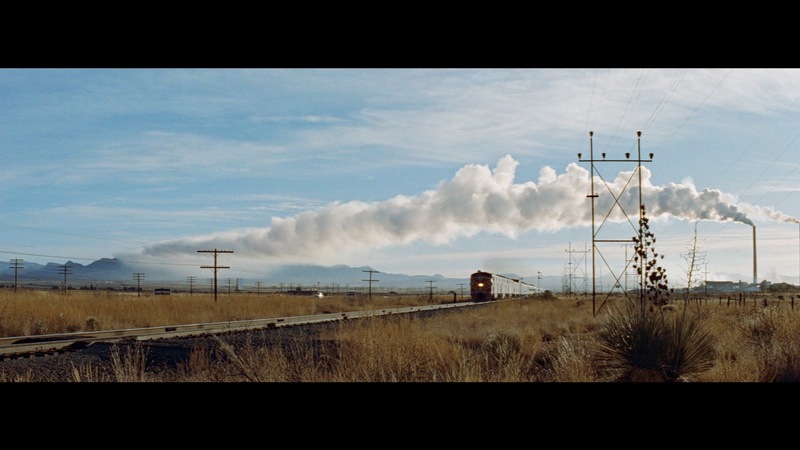 Are there visual motifs that figure throughout the director's oeuvre? Does the director have a special view of space, or use space in a specific way? Can any specific views on questions about death and love be found? Are there certain words or expressions that return in different films? If a director is working for a particular studio (like Paramount or UFA or Toho or SF), how does the style of his films compare to the films of that studio in general. The films in themselves are not enough either but interviews, biographies, on-set reporting and history overviews are also essential tools for getting to the bottom of the issue. But most important is still looking at the films. But it is not only hard work. Watching the films of a particular director, seeing how his or her films belong to each other, how they seem to be engaged in conversations with each other, to notice how Hawks's Only Angels Have Wings (Hawks 1939) is intimately connected to his Hatari! (1962), how Nicole Holofcener's Lovely & Amazing (2001) and Enough Said (2013) are dealing with similar people with similar problems yet with different emphasises and solutions, is, ultimately, the joy of auteurism, besides its scholarly usefulness. A related posts about cinematographers. Michel Foucault: What is an Author? As a bonus, a contemporary, nuanced text by James Naremore: Authorship,, Auteurism, and Cultural Politics.